This release adds support for Ubuntu 17.10 and fixes several bugs. ISPConfig supports PHP 7.1 as main PHP version now. This release adds a new search path for the latest Let’s Encrypt certbot program and fixes some minor bugs. This release adds support for Debian 9 (Stretch) and fixes some minor bugs. New responsive User Interface based on the Bootstrap framework. The interface is responsive now which makes it easy to use ISPConfig on mobile devices. Dkim support. Digital Signing of email’s with Dkim is now integrated. DNSSEC support for creating signed DNS zones. Let’s encrypt support. Create free SSL certificates with Let’s encrypt directly from within ISPConfig. 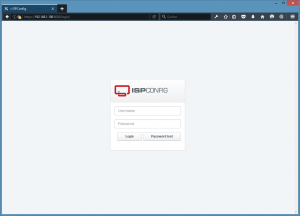 Management of XMPP Servers in ISPConfig. Support for HHVM (Hip Hop Virtual Machine) as PHP engine. New REST API (the SOAP API still exists). Support for multiple default servers per client on multiserver installations. Many small features, improvements and bugfixes. Please see changelog link below. Please note that this is a beta version. Beta versions are released for testing purposes and not for installation on production systems. When will the ISPConfig 3.1 final version be released? The final version will be released in the next few weeks. The release date depends on the number of issues that were found in the current beta 2 version. Will there be a new User Manual for ISPConfig 3.1? We are currently working on a new User manual für ISPConfig 3.1. The manual will be available for the Final release. Will there be a new Billing Module for ISPCOnfig 3.1? A new Billing Module for ISPConfig 3.1 will be released when the ISPConfig 3.1 final is ready. ISPConfig 3.0.5 is available for download. This release is a major release of ISPConfig 3. For a detailed list of changes, please see the changelog section below. – APS package installer. See http://www.apsstandard.org for a list of available packages. – New web backup system which includes the website databases. – PHP version selector. Use different PHP versions for different websites. 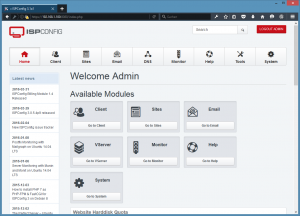 – Subdomains as virtualhost with separate directory inside the directory tree of the main website without rewriting. – PHP-FPM support for Apache servers. – PHP-FPM mode selector in website options. – Hardened the website folder structure with new folder protection feature and stricter security settings. – Directive snippets for Apache, nginx, and PHP can now be saved and be reused for other websites. – Forms can be submitted by pressing ENTER (you don’t have to click the Save button anymore). – Many more minor feature enhancements and bugfixes. – Mail traffic reporting for dovecot servers. Special thanks to Marius Cramer from www.pixcept.de for his contributions to the 3.0.5 ISPConfig release. Select „stable“ as the update resource. The script will check if an updated version of ISPConfig 3 is available and then download the tar.gz and start the setup script. If the ISPConfig version on your server does not have this script yet, follow the manual update instructions below. The release candidate (RC) of the upcoming ISPConfig 3.0.5 is available for download. RC versions are released for testing purposes and should not be installed on production systems. 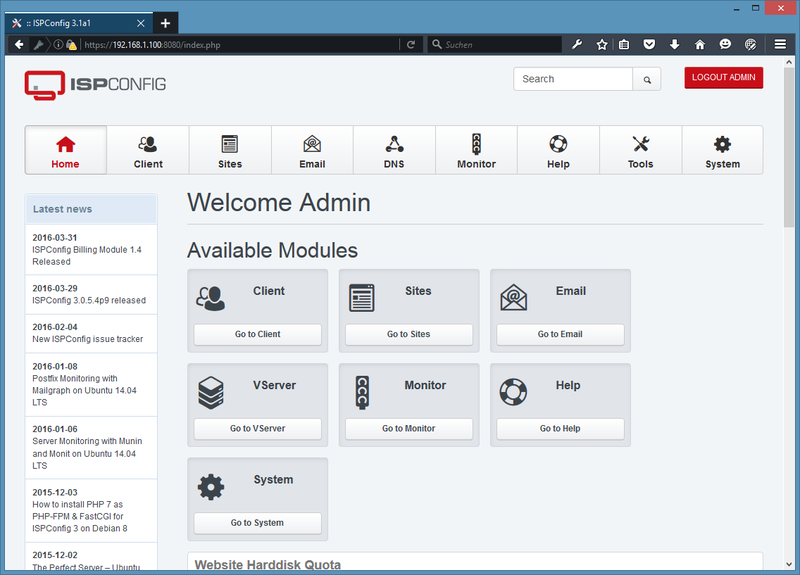 The first beta version of the upcoming ISPConfig 3.0.5 release is available for download. Beta versions are early versions released for testing purposes, it is not recommended to use them on production systems. 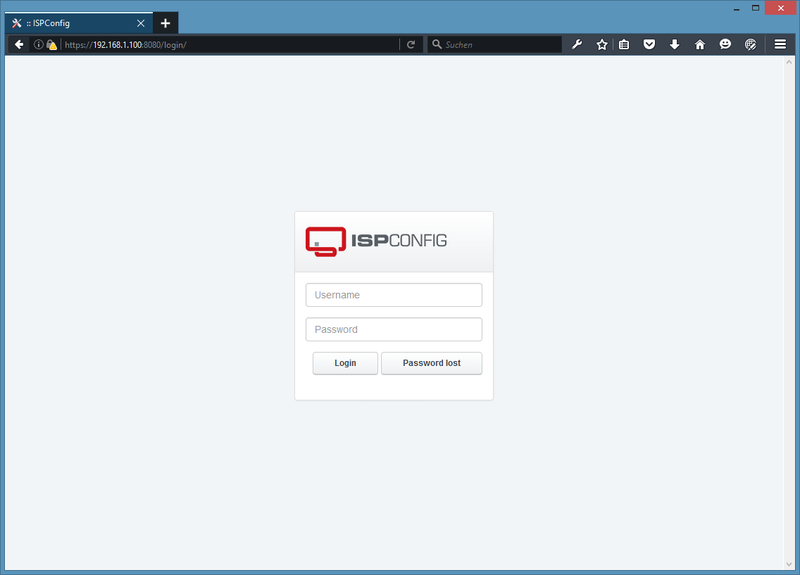 ISPConfig 3.0.4.5 is available for download. This release is a bugfix release for ISPConfig 3.0.4. It is highly recommended to install the 3.0.4.5 update immediately. or in the text files (named INSTALL_*.txt) which are inside the docs folder of the .tar.gz file. ISPConfig 3.0.4.4 is available for download. This release is a bugfix release for ISPConfig 3.0.4. It is highly recommended to install the 3.0.4.4 update immediately.